Time Square is a real concentration of technology and gathers the best components available on the market skilfully combined with an extremely innovative andmodern design that fully integrates the battery inside the frame making it invisible. 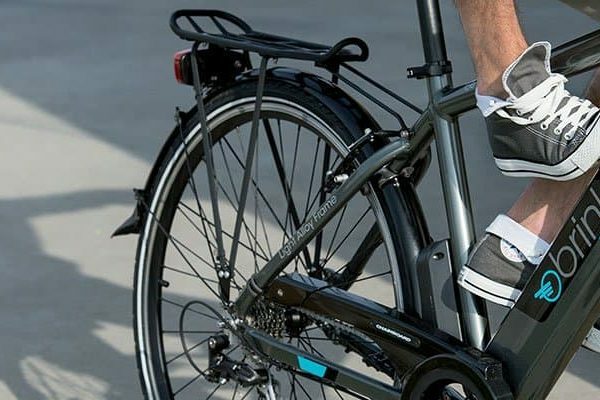 Designed for those who love “muscular” models, the geometry and graphics are studied to impart a sense of sportsmanship, though remaining elegant to attract the gaze of people even during a short ride for a drink or some shopping. 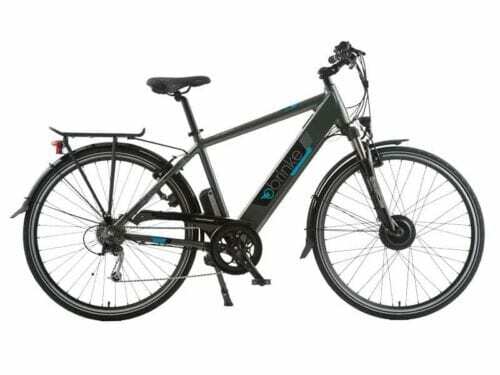 At first glance it looks like a traditional bicycle accurate in every detail, but it hides a Samsung 36V 10.4Ah battery fully integrated and removable using a key lock so that it can be recharged easily at home or in the office, which allows you to ride up to 70 km without any effort. 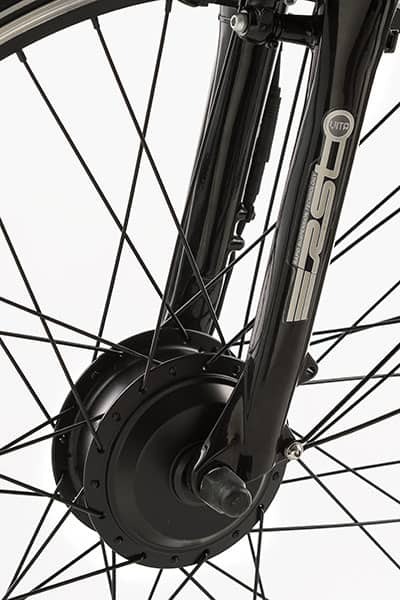 A powerful 8FUN 250W brushless motor which is easy to remove if you have a puncture is mounted on the 28” front wheel to assist your pedalling. 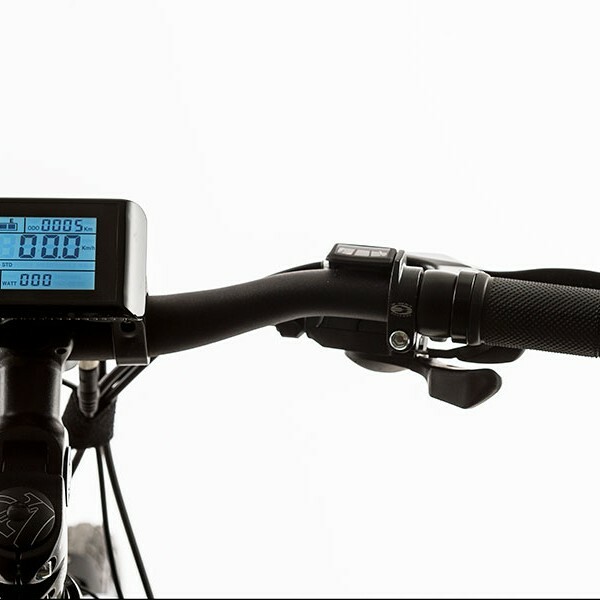 The pedal assist provides 5 levels of power assist through a wide 3” LCD display mounted on the handlebar, so you can always choose the motor interaction in line with your pedalling and monitor the status of battery power, the instantaneous and average speed and the miles you have travelled at any time. At max. 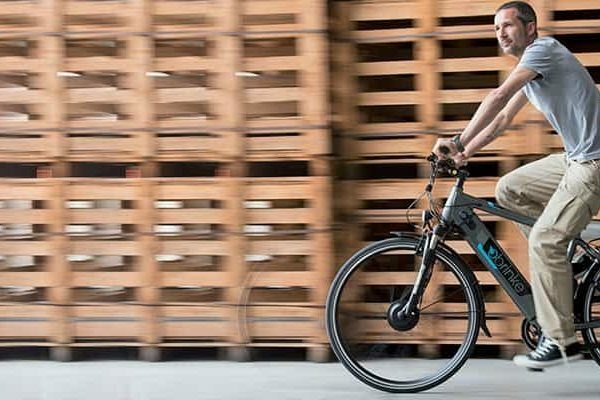 power you can reach a speed of 25 km/h without any effort, allowing you to get to work or take a leisure ride without breaking a sweat even on the hottest days. 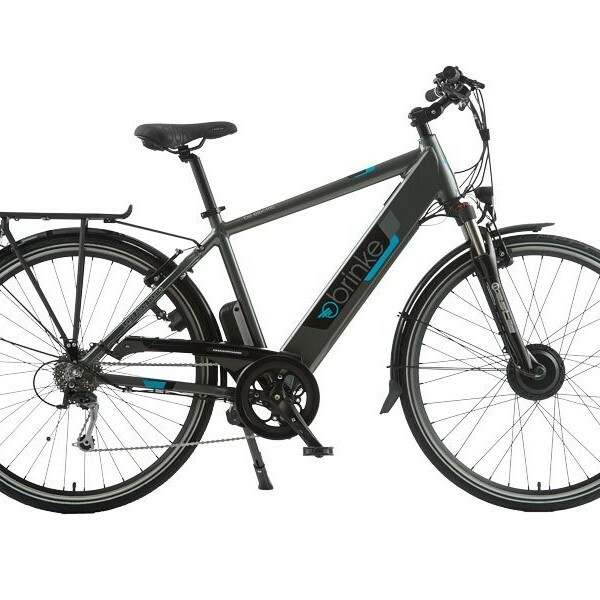 In addition, the Times Square is provided with a soft start, a button that activates the motor without the need for you to pedal up to 6 km/h speed and allows you an easy restart after any stop. The frame is made of light aluminium alloy to keep the weight very low. 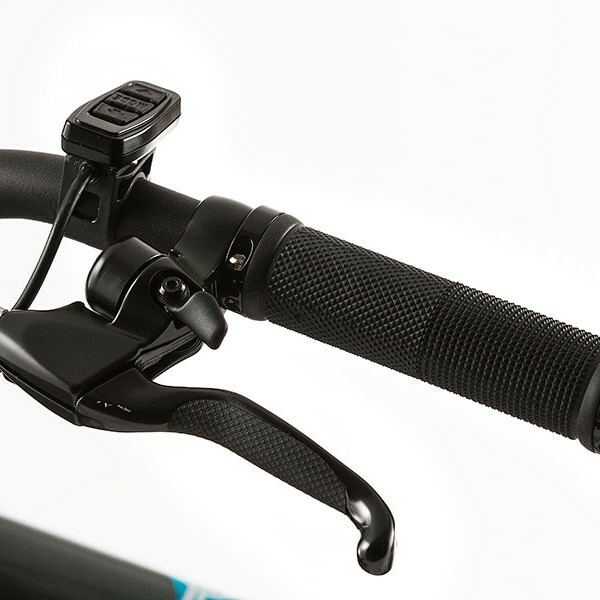 The SHIMANO ALIVIO 9 speed gear allows you to face the most challenging slopes making the most of the engine’s power. 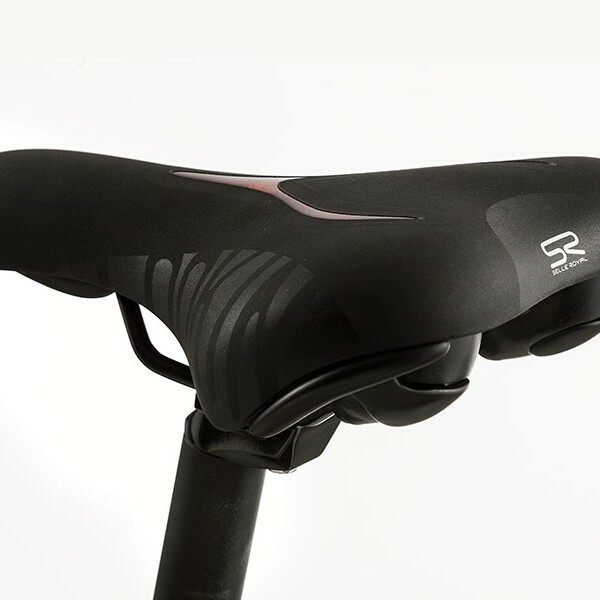 Paved and unpaved roads are not a problem any longer thanks to the front shock absorber with locking system to exclude it when not required and the anatomic gel Selle Royal saddle that makes your ride comfortable in any situation. 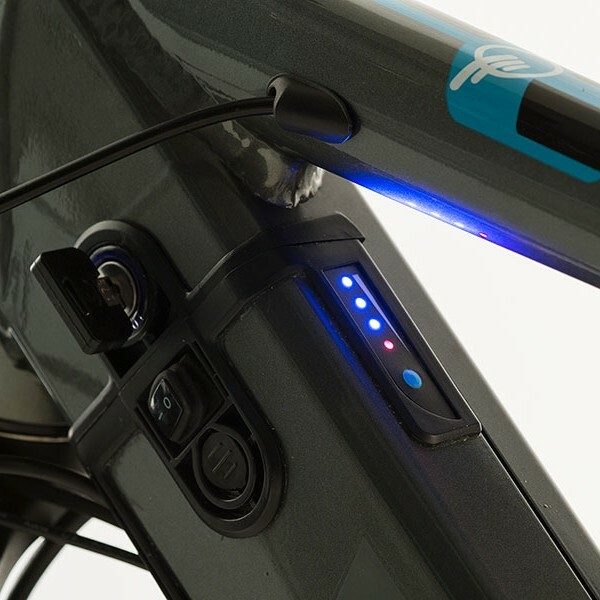 LED dynamo front and rear lights complete the set-up ensuring maximum safety in any situation. The Valsabbina Group started up in 1972 as an iron and steel business selling its products mainly in north Western Europe, the U.S. and Brazil. At the end of the 70’s it also reached the Eastern Europe markets where it opened offices and established joint ventures to supply raw materials to the steel industry. Always committed to sustainable development, in 2006 Valsabbina Commodities S.p.A. was founded to develop new projects in the dynamic and ever-growing world of renewable energy and electric mobility. In 2012 the founders decided to develop a technological product able to improve the lives of those who use it. 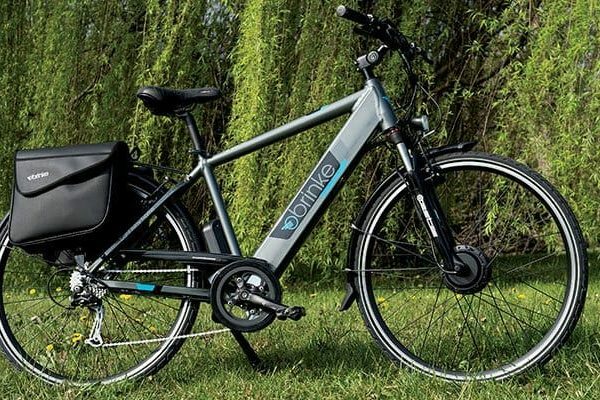 After two years of research and product testing, in 2014 they come on the market the first mass-produced e-bikes and after only one year the brand is already present in whole Italy and in other 5 European countries. 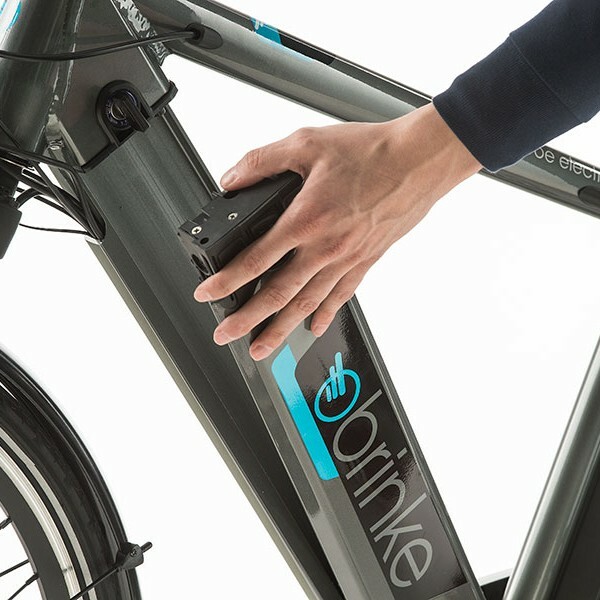 Today Brinke already has 12 models of e-bikes with advanced technologies and different features depending on the type of use for which they were designed..
BEST Products from the BEST Brands at the BEST Prices available in your market. Further discounts on bulk purchase.